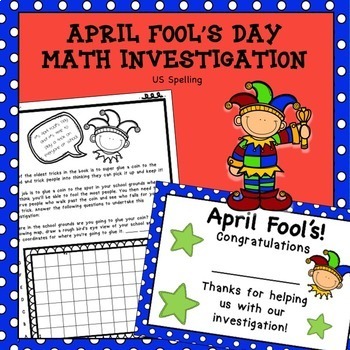 Includes a fun math investigation for grade 3, 4, 5 and 6 students. 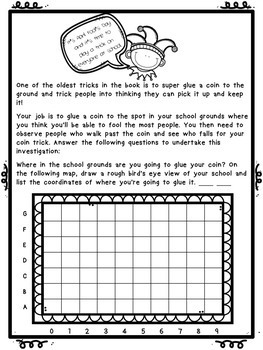 It serves as more than a thematic activity and requires students to set up a coin trick, observe it in action and evaluate its success. Students graph, count, tally and use other math skills. It can be undertaken individually or in groups depending on students’ needs. 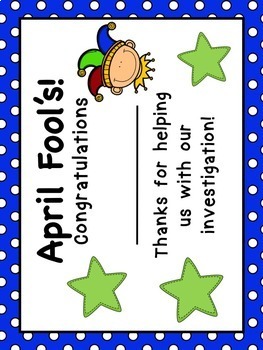 •April Fool’s Day Investigation blackline masters. 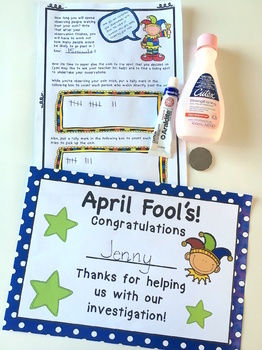 •An April Fool’s Day certificate. •It is fun and engaging as it relates to the real world. •It requires higher order thinking. •It combines a range of math skills. Note: You will need coins and some super glue to set up the investigation. You will also need some acetone nail polish remover to remove the coins from where they are glued to. There are links to American, English and Australian curriculum documents. here to view the bundle.